As Hollywood went into high gear for Christopher Nolan’s new film, so did Open Road Integrated Media for Walter Lord’s 1982 book on Dunkirk. Internationally, 45,000 copies sold in July. If anyone knows how to revive a backlist title, it’s Open Road Integrated Media. 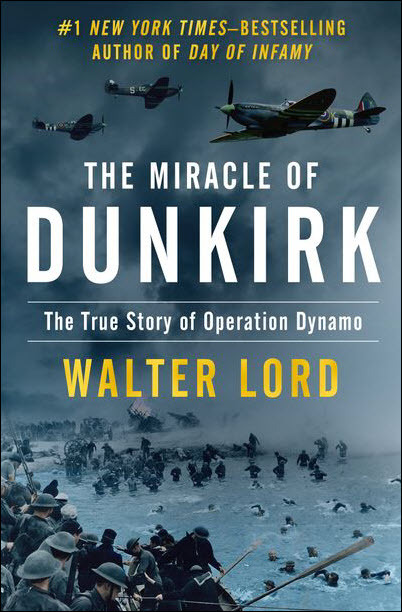 When staffers there saw the trailer for Christopher Nolan’s film Dunkirk—which had its US opening on July 21—the first thing that popped into their heads seems to have been the name Walter Lord. The American author (1917-2002) of A Night To Remember (1955) and Day of Infamy (1957) had published The Miracle of Dunkirk in 1982. 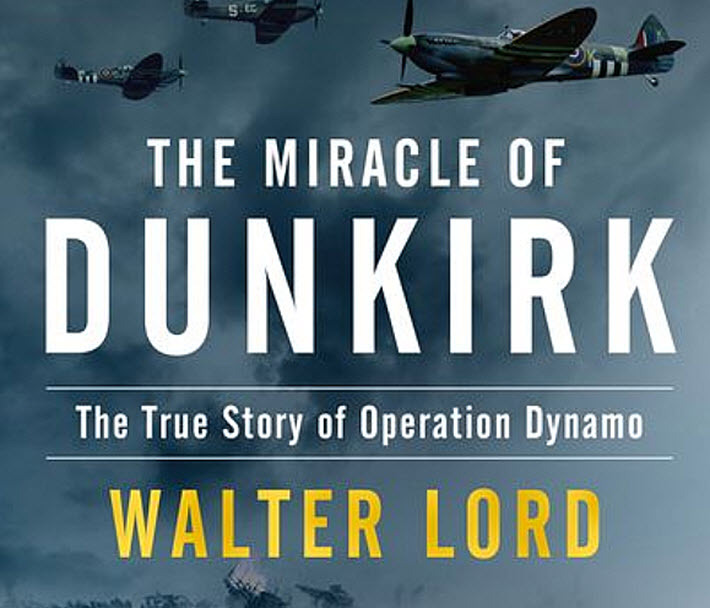 Open Road had acquired The Miracle of Dunkirk for its vast ebook backlist catalog in 2012. The Walter Lord book now has hit No. 6 on The New York Times‘ ebook and print nonfiction bestseller list–a jump of two spots above last week’s No. 8. And it’s gone to No. 1 on the Wall Street Journal‘s list. Internationally, this 35-year-old book sold 45,000 copies in July. All this comes to us from an understandably proud Mary McAveney, the Open Road executive vice president who has supplied Publishing Perspectives with a timeline on how the team pushed a 1982 title into the summer charts of 2017 in weeks. Poster art for the Christopher Nolan film, ‘Dunkirk,’ 2017, Warner Bros.
On the international front, in fact, McAveney tells us that promotional emphasis is in the UK, Australia, and Canada. It’s tempting to talk about making all the boats float, isn’t it? Note that the Lord book is not related to the film. Nolan created his own screenplay, and William Morrow has produced a new work, Dunkirk: The History Behind the Major Motion Picture, as a tie-in with the Warner Bros. film. Like one of the boats in the World War II flotilla, the Walter Lord book is one of many books on the subject of the magnificent rescue of more than 338,000 Allied soldiers from certain death, when the German advance had trapped them on the beach in the English Channel, 10 kilometers from the Belgian border. The rescue was accomplished over eight days, May 26 to June 4, in part thanks to courageous contributions to the mission of “the little ships of Dunkirk”–fishing boats, pleasure craft, yachts, and lifeboats. According to McAveney’s tick-tock, here’s the rundown on how Open Road pulled off its own quick work–nothing compared to 1940, of course–but impressive by anyone’s standards in publishing. 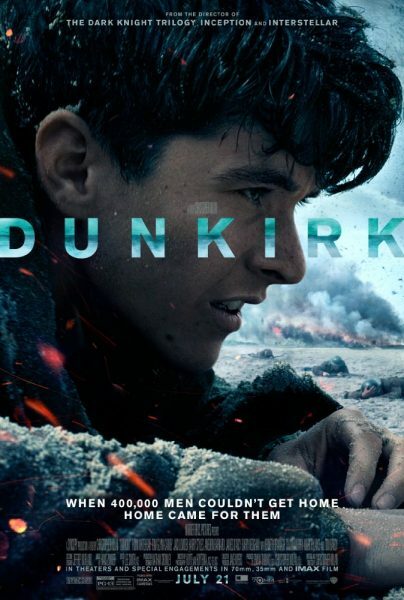 May 5: Open Road’s marketing team began aggressively marketing Lord’s The Miracle of Dunkirk as the film’s trailer arrived in cinemas. The company also began a series of sponsored posts at the site WarIsBoring.com. May 12: A search-optimized content piece was placed in Open Road’s EarlyBirdBooks.com newsletter featuring the film trailer and the book. May 15: Open Road’s editorial office went to the Lord estate, seeking print rights for The Miracle of Dunkirk. June 5: A cover redesign was created. June 28: A first print run was ordered; ongoing print orders were placed to keep up with the demand. July 24: Days after wide release of the film, the print and ebook editions became No. 1 bestsellers on Amazon in various categories. In ebooks, the title went to No. 2 overall. July 26: The Miracle of Dunkirk lands at No. 8 on The New York Times ebook and print bestseller list. Ongoing: Open Road is using ads to drive traffic to the content and to retailers. Apparently readers are agreeing as they seize on the Open Road edition of the story. And a nod to our colleagues in Hollywood–here’s that film trailer that got the Open Road team headed for the boats.